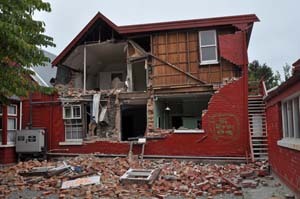 Insurers trying to get on top of Canterbury earthquake claims are going one step back, for every two steps forward. Figures released today by the Canterbury Earthquake Recovery Authority (CERA) show insurers have made significant headway settling claims over the past year, but the number of new claims trickling in is slowing the process. Insurers settled 4,447 claims over the Earthquake Commission’s (EQC) cap in 2014, but also received 1,963 new over cap claims. ECQ settles personal claims below $100,000, so anything above this cap is passed on to claimants’ insurers. Insurers received a whopping 744 new over-cap claims in the third quarter of 2014, pushing the total number of over cap claims yet to be settled up to 23,925. This means 43% of all over cap claims received by insurers are yet to be settled. Insurance Council of New Zealand (ICNZ) chief executive, Tim Grafton, is pleased the number of over cap claims being settled is increasing from quarter to quarter. Yet he admits the large number of new claims coming on to insurers’ books, four years on from the quakes, is frustrating for insurers and claimants alike. He says a large number of new claims will have been created due to the quality of the original assessments made by EQC. “There will be people who think the damage is more costly than originally assessed”, Grafton says. As repairs get underway, people may also realise the damage is worse that initially anticipated. For example, it could transpire that what may have been thought to be a simple plaster job is actually a structural job. Furthermore, about a third of new over cap claims recently received by insurers came from multi-unit buildings, like apartment blocks, townhouse complexes and retirement villages. Dealing with these is more complex, as there are multiple owners, insurers and kinds of consent involved. While settling these claims has been slow going, Grafton believes the pace will pick up, now that the insurance industry has sorted a process for dealing with them. He says insurers have paid a total of $5.7 billion dollars to settle domestic claims since the quakes, but fears new claims could see the total cost increase more than expected. He says some reinsurers are more in touch with the Canterbury situation than others. However, as interest.co.nz has heard from Swiss Re and Munich Re, reinsurers are still uncertain about the future of EQC, and thus the burden that’s expected to fall on insurers in the future. Grafton says it’s vital EQC improves its process for accessing claims. He says ICNZ is talking to the organisation about getting more certainty around what it can expect in 2015. He says the new claims trickling in are a big deal for insurers, even though these may be insignificant for EQC when compared to the total number of claims it has received. “You can look at it from two perspectives”, says Grafton. The difference between the portion of personal quake claims settled, compared to the portion of commercial quake claims settled, illustrates the layer of complexity involved with EQC. While only 57% of over-cap personal claims have been settled, 83% of commercial claims have been settled. Furthermore, 84% of other claims out of EQC’s scope – including those for pathways, driveways, fences, etc – have been settled. CERA confirms insurers have spent $8.2 billion on commercial claims, with the total number of Canterbury quakes claims paid by insurers totaling $13.9 billion. George Gregan said it best. "Four more years"
With Fletchers EQR drip feeding work down to the sub-contractors at a rate just high enough to keep the subbies afloat, and to prolong their existence and fat salaries as long as possible I think that might be an optimistic target. "He says a large number of new claims will have been created due to the quality of the original assessments made by EQC." Ummmmmm, many of us down here in the real world with damaged houses have been screaming this for quite some time now. Frustrating? Understatment of a lifetime right there!! I sent my assement back and told them to do it again THREE TIMES before it came back with something in the right ballpark on it. "New claims rolling in" doesn't quite describe it accurately either I feel. I think "EQC stuffed it up and hospital pass it to the private insurer" would be a more accurate description.